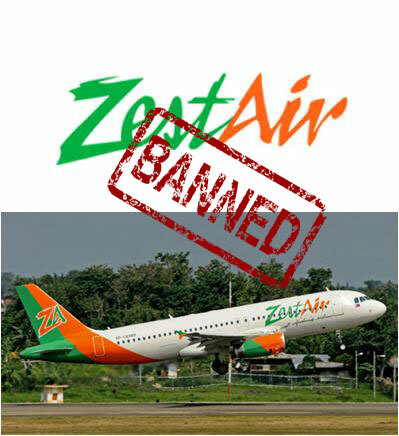 As of Friday, August 16, 2013, budget airline, Zest Air, has been grounded by the Civil Aviation Authority of the Philippines (CAAP) for violating a series of safety breaches, including refueling with passengers onboard. The decision to suspend the airline’s operations was apparently based on the monitoring and surveillance conducted by a team of inspectors last week. #2 - Failure to check aircraft logs, flight manifest, weather, etc. Captain John Andrews, CAAP deputy director general, commented, "In the course of monitoring, this agency is alarmed of Zest Air’s series of serious deviations and infractions of the rules and standards prescribed under the Philippine Civil Aviation Regulations." According to Andrews, Zest Air’s certificate to operate will remain suspended until the necessary corrective actions and compliance with aviation safety standards have been undertaken.